Search Results for "bowling pins"
1940s: Bowling ball knocks down pins. Bowling pins reset. Men bowl. 1940s: People bowl simultaneously. 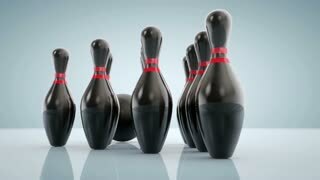 Bowling ball knocks down pins. Bowling pins reset. 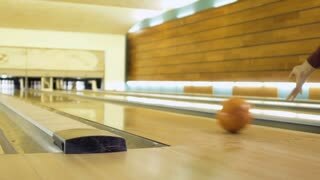 Bowling Pins and Dust. Zoom Out. Neon 'Bowling' Sign Bowling Pins in Russian Bowling Alley. Toy Bowling Pins Against the Wall. 1960s: Balloon and disc float down alley. Balloon slowly deflates as disc speeds down bowling alley. Disc bumps into bowling pins and stops. 1950s: Man sits at table in bowling alley. Hand keeps score on sheet. Man thinks to self. Men bowl at bowling alley. 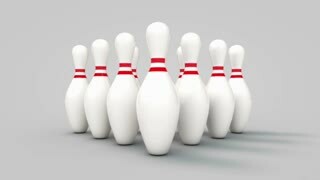 Bowling pins spin around on lane. Man stands outside abandoned factory. The boy plays bowling. He rolls the ball on the path and falls into the bowling pins. 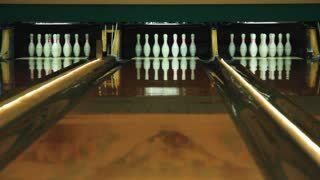 Seamlessly looping pan over an endless array of upright ten pin bowling pins. This video is a 3d render. 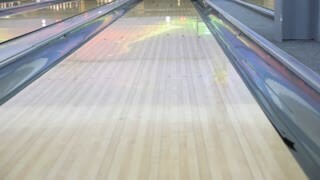 The ball breaks bowling pins. Man is playing bowling slow motion. The young man knocks out strike.